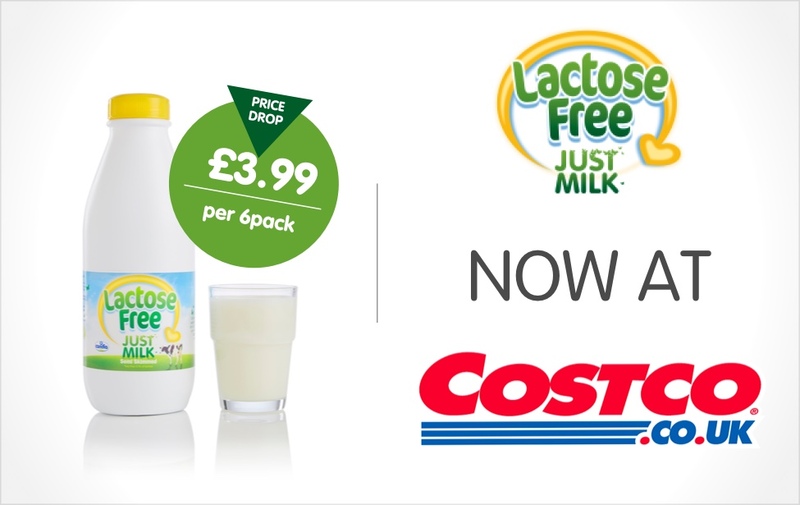 Our totally delicious Lactose Free JUST MILK is now available to purchase from COSTCO Online. This brings the range of JUST MILK available at COSTCO Online to three also including Skimmed and Semi Skimmed. You do need to be a member to buy, but the small membership fee means you are able to buy at wholesale prices. There is a launch price of £3.99, but this is a limited time offer, so grab them while you can. Find our Lactose Free bottles at COSTCO Online here.